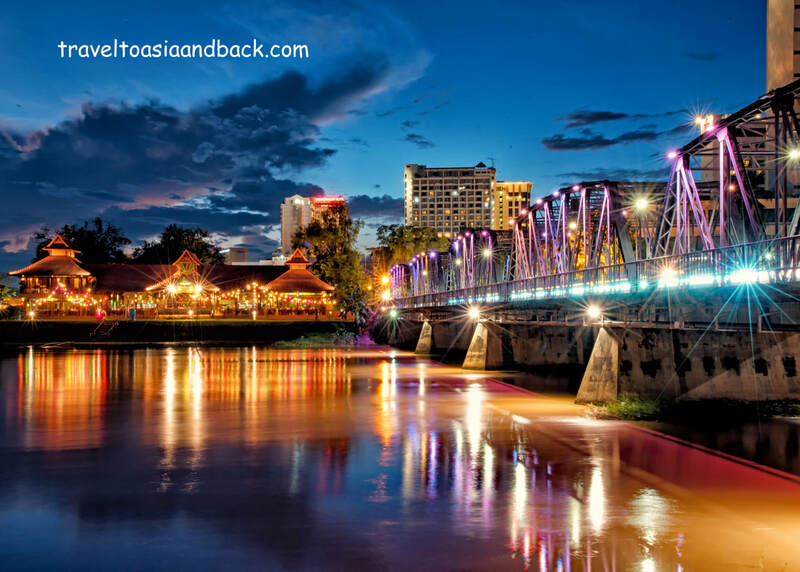 Often referred to as Thailand’s northern capital, the city of Chiang Mai is not only an extremely popular tourism destination but is also home to a thriving expat community which includes many retirees. Located in the shadow of Doi Suthep Mountain, approximately 440 miles (700 km) north of Bangkok, its climate is noticeably cooler and less humid than southern Thailand. Chiang Mai offers a lot to do and see but still manages to maintain its easygoing and laid back pace. It’s also considerably less expensive than Bangkok and can be easily reached by public transportation which makes it a big hit with budget travelers and backpackers. ​Chiang Mai was founded as the capital of the Lanna (La Na) Kingdom by King Mengrai in 1296. Lanna was once a powerful state which encompassed the entire area of what is now northern Thailand. They were rivals of the Ayutthaya Kingdom, until the city fell to the Burmese in 1556. With the help of the Siamese, the Burmese were eventually driven out and in 1775 Lanna became part of Siam. However, the Burmese continued to attack the city which was temporarily abandoned between 1776 and 1791. The city’s founders methodically planned its layout. Moats and high brick walls were constructed along the city’s perimeter as protection from foreign invaders such as the Burmese. Within these walls they constructed over thirty Buddhist temples and monasteries. At the center of the old city is the area’s most important religious monument; Wat Chedi Luang which dates back to 1400 AD. The city’s ancient moats have survived as have the odd bits and pieces of the original brick wall. Other parts of the wall, like Tha Phae Gate, have been rebuilt. The heart and tourism hub of today’s Chiang Mai lies within the old walled city. Besides being rich in history the old city is a great place to sleep, eat, drink and explore. The area has many hotels, guest houses and hostels which should be able to accommodate just about every traveler no matter the budget. 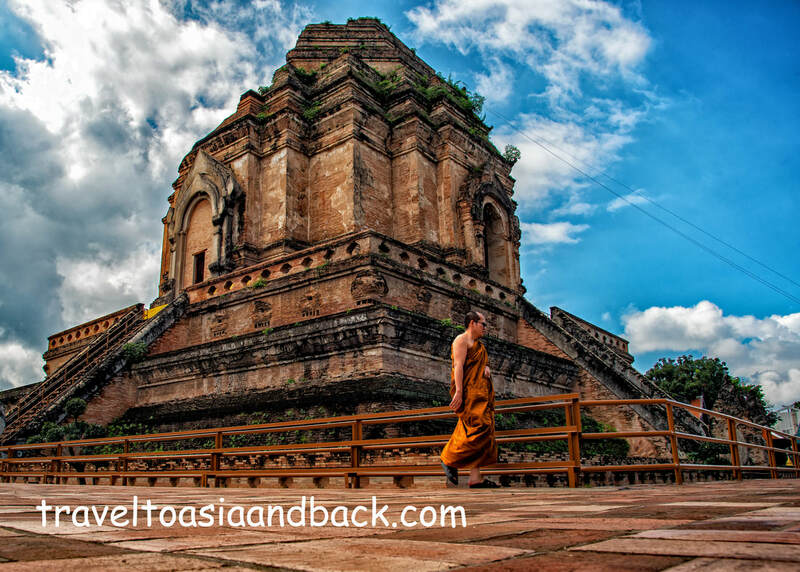 There are a tremendous number of things to do and see in and around Chiang Mai. Within the walls of the old city are dozens of temples to explore and several interesting museums including the Chiang Mai City Arts & Cultural Centre and Lanna Folklife Museum. Other popular activities include taking Thai cooking classes, visiting the nearby night bazaar and going to Thai boxing (Muay Thai) matches. Venture just a few miles from town and visit the Chiang Mai Zoo, Tiger Kingdom, go zip lining or play golf at Lanna Golf Club. Journey just four and a half miles (7 km) from the old city center and you will reach the base of Doi Suthep, a 3280 foot (1676 m) Mountain. The heavily-forested granite peak is the home of Wat Phra That Doi Kham (Temple of The Golden Mountain). An important pilgrimage destination by Thai Buddhists, legend has it that a temple was first built on the sacred site in 1383. Doi Suthep and the surrounding area are excellent places for hiking, mountain biking, elephant riding and trekking to ethnic villages. 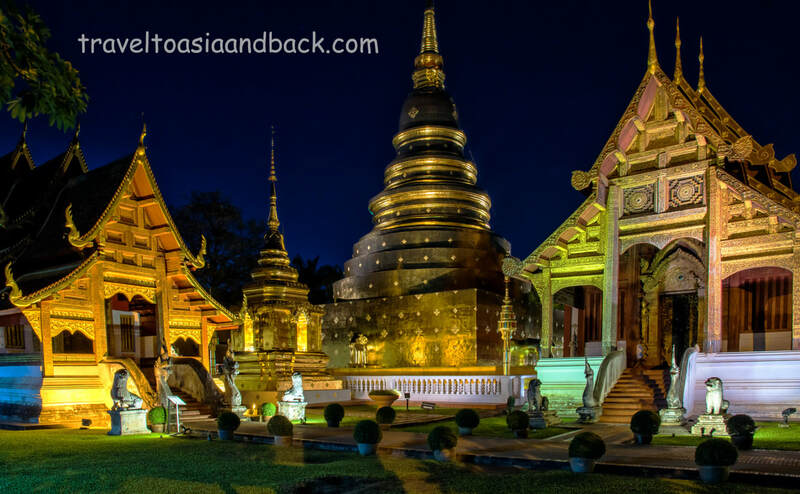 ​Chiang Mai is easily accessible by bus, train and plane from various cities in Thailand and Southeast Asia. Chiang Mai International Airport (CNX) receives 130 flights a week from Bangkok, Cambodia, China, Laos, Myanmar and Taiwan. The flight from Bangkok takes just over one hour and can be booked with Air Asia for as little as $40 USD. Direct flights are also available to southeast Asia’s must-visit destinations of Siem Reap and Luang Prabang. Many budget travelers and backpackers choose to reach Chiang Mai by train as it is probably the least expensive and most interesting transportation option. Trains depart Bangkok’s Hua Lamphong station five times per day. The trip takes roughly 12 hours and as always, the fare varies depending on which train number and class is chosen. It is advisable to consult the timetable and fares page from the State Railway of Thailand website before arriving at the station. Many travelers choose to break up the long journey to Chiang Mai with an overnight stop in Ayutthaya, Lopburi or Phitsanulok. Traveling to Chiang Mai by bus is also an inexpensive option. Numerous buses depart daily from Bangkok's largest bus terminal Mo Chit. Also known as Chatuchak, or the Northern Bus Terminal, it serves many northern destinations such as Sukhothai and Chiang Mai. Mo Chit terminal is easily accessible by public transportation including buses and the BTS Sky Train System. Chiang Mai is the major transportation hub and gateway to northern Thailand which has become increasingly popular with travelers. Well-known northern destinations include Mae Sariang, Mae Hong Son, Pai, Chiang Dao and Chiang Rai.